Arrival and reception at the Jomo Kenyatta International Airport (JKIA), Nairobi. 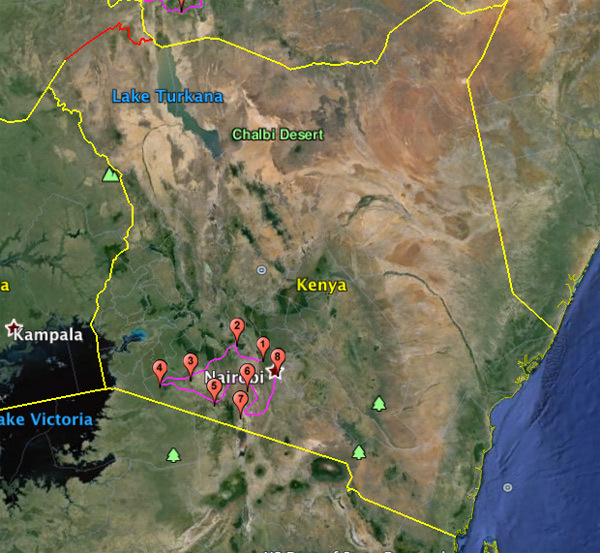 Then Transfer to Osoita Lodge in the outskirts of Nairobi, from which place the safari will start. Briefing and presentation of the dirt bikes for the adventure tour starting the next day. Dinner and overnight at Osoita. Breakfast and departure towards the Ngong hills. 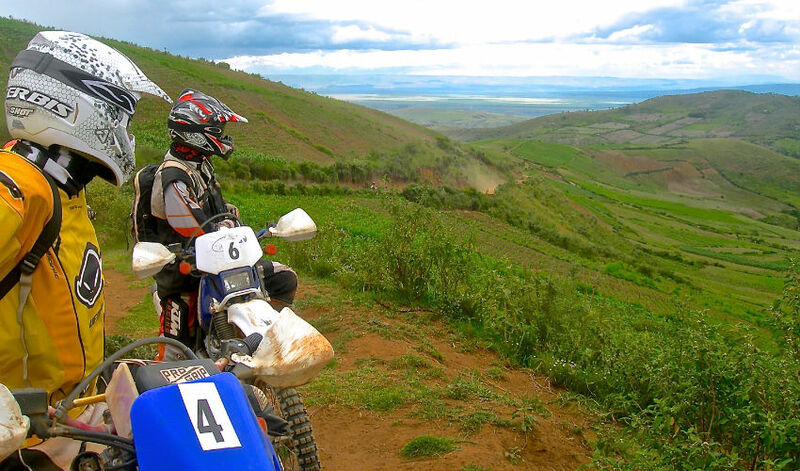 Roll down through a steep track into the land of Maasai of Kedong, right into the heart of the Great Rift Valley. You won’t wait too long before meeting the first wild animals. Picnic lunch en route. 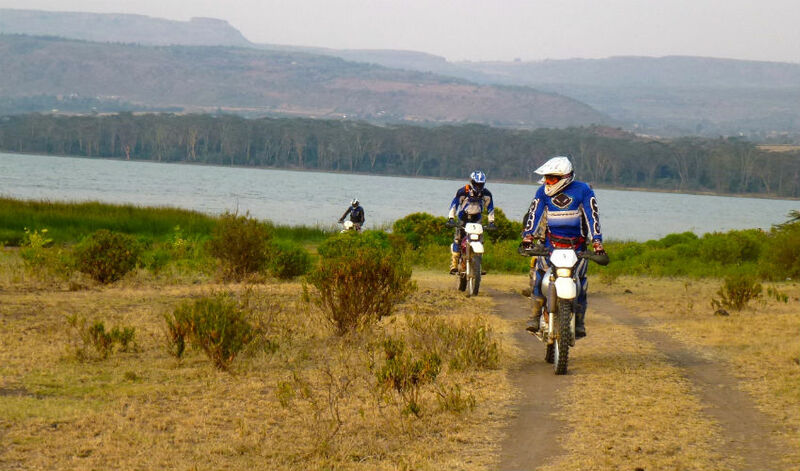 Drive up the Mau Escarpment, passing through villages and scenic landscapes of the Great Rift Valley then descend towards Lake Naivasha to take a dirt track leading to Lake Elementaita. Arrive at Sleeping Warrior Camp, a small charming camp located in the private Soysambu Reserve, ensconced amidst a landscape of volcanic hills. Dinner and overnight at the camp. 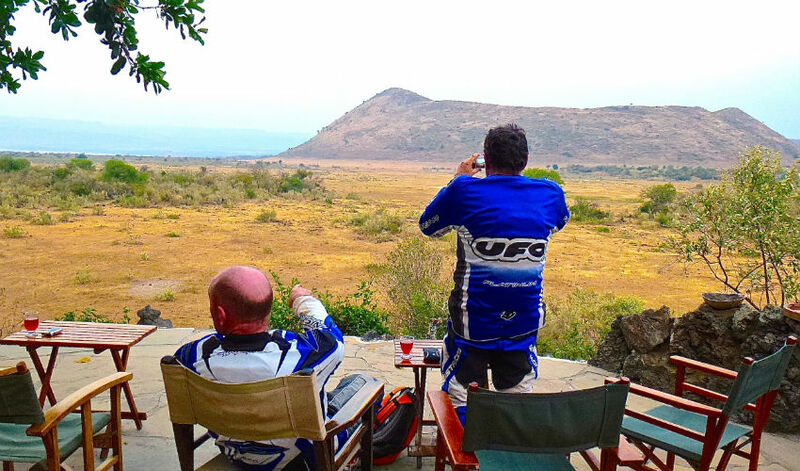 Depart after breakfast and drive up the Mau Escarpment up to an altitude of 3000 meters then follow a dirt road at the top of a ridge with a spectacular view over the bed of The Great Rift below. 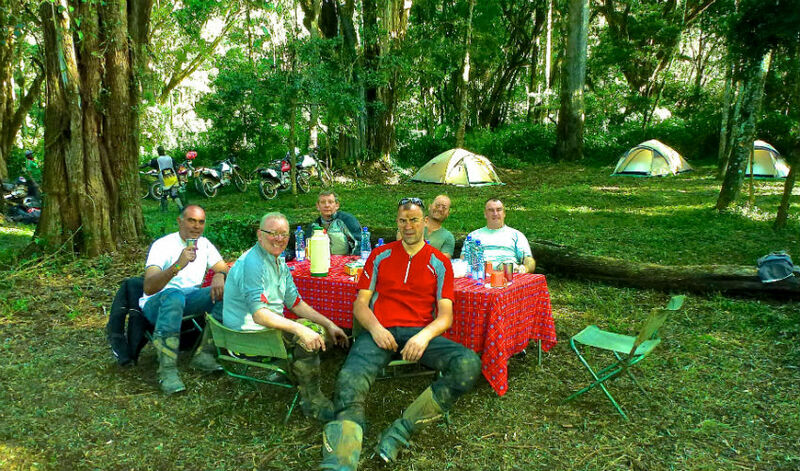 Picnic lunch en route then take the tarmac road passing through Narok Town where you refuel. Arrive at Ilariak Camp, an Eco-Lodge run by the local Maasai community. Dinner and overnight at the Camp. 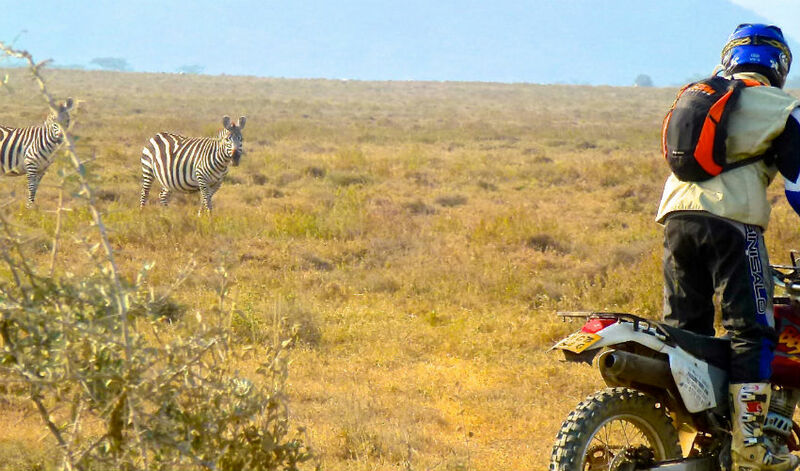 Depart after breakfast towards Masai Mara north across Loita plains, an area frequented by wildebeest, zebras, giraffes…. Arrive and check into Salt Springs Mara Camp for lunch. This is a comfortable permanent tented camp with a view over the Mara River and is located in one of the Mara’s least visited and protected areas. 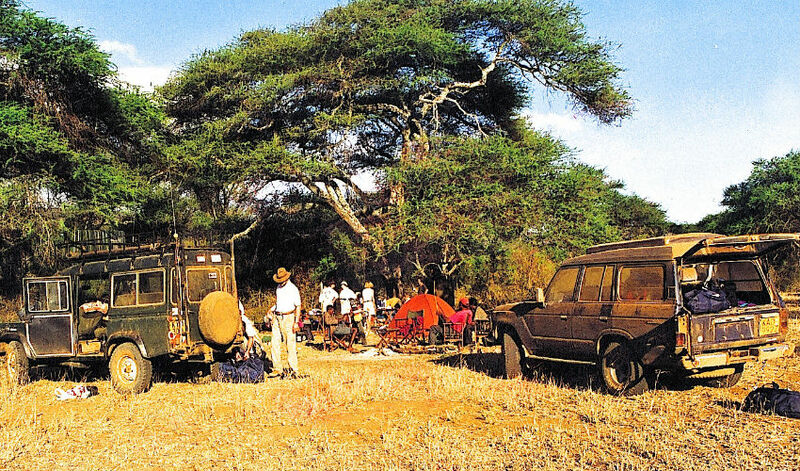 In the afternoon, explore the Mara Game Reserve aboard a 4WD car, following the twists and turns of the Mara River. Sunset, gives way to a myriad of nocturnal choral sounds which dominate the night and accompany you to sleep after dinner at the camp. Depart after breakfast through tracks running outside the Masai Mara park boundary, across the scattered Masai villages while still encountering fascinating wildlife. Then take a rarely used track running along the Tanzanian border which winds up the Loita Hills to reach an altitude of 2800m. Picnic lunch en route. 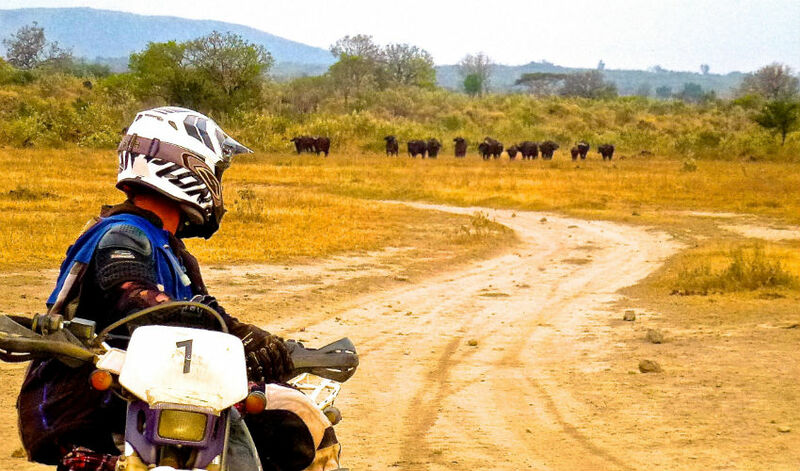 Ride up to the top of Morijo Plateau then on to the campsite in the midst of rain forest, near a saltlick normally visited by elephants and buffalos. Dinner around a campfire and overnight under tents. 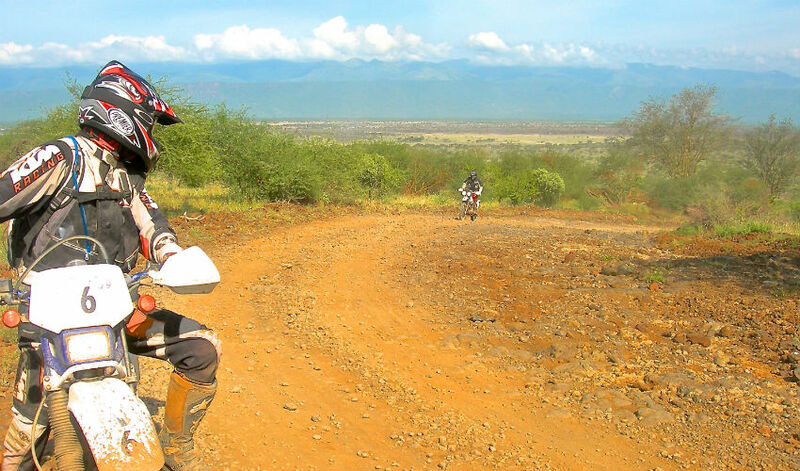 Depart after breakfast on a track running down the Loita Hills towards Narok Town. Picnic lunch, then, towards end of the afternoon, arrive at the Masai Village of Mosiro. 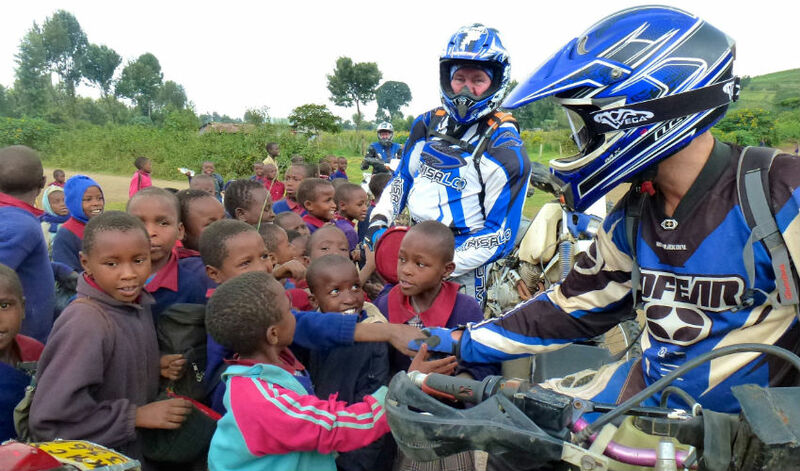 Brief visit to the local primary school before proceeding to the campsite nested in the middle of the savannah. 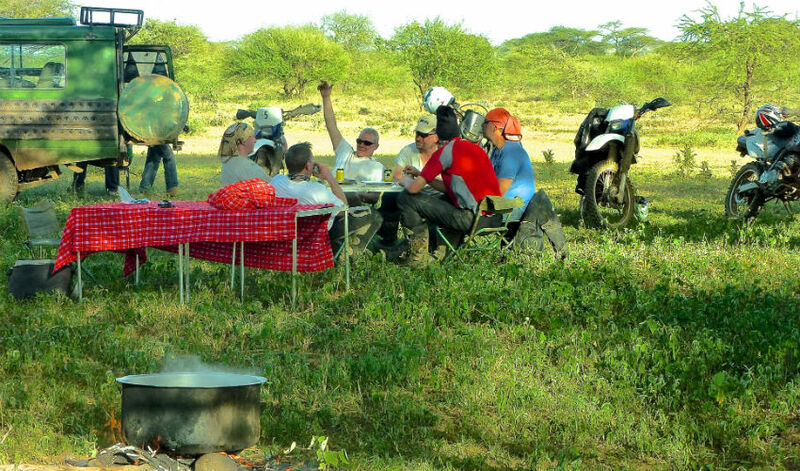 For dinner you enjoy traditional barbecue in the company of Maasai warriors who at the same time offer entertainment of their traditional songs and stories of their adventures with wild animals. Depart after breakfast on a lava-stones trail linking the forgotten villages that lie in the arid savannas, south of Mosiro, then to the booming Nguruman market; the little Edenic Maasai Village perennially irrigated by water springs originating from the dense forest cover on the Rift Valley Escarpment. Picnic lunch en route. Finally, arrive at Nguruman market under the freshness of its luxuriant vegetation of lush ficus, tamarind and bananas … Arrive and check into Loisiijo Lodge at the river bank of Ewaso Nyiro river. It is a small charming lodge owned and managed by the local Maasai community. The camp operates in perfect harmony with the wild environment of the reserve, whose diverse wildlife it helps to conserve through its eco-friendly programs that have led to job creation for local people. Leave in the morning with picnic, taking a track that passes through Shompole Volcano then to Lake Magadi, a soda lake that is home to many flamingos. 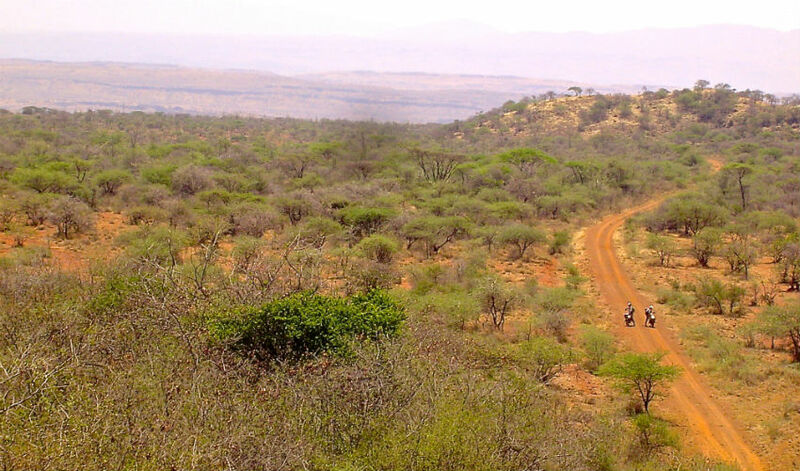 Proceed further on a track that goes down the Great Rift Valley and runs along the Nairobi Plateau escarpment, leading to Osoita Lodge. Freshen up and change then drive to "Carnivore" Restaurant for dinner and transfer to Nairobi’s JKIA to take your return flight home. 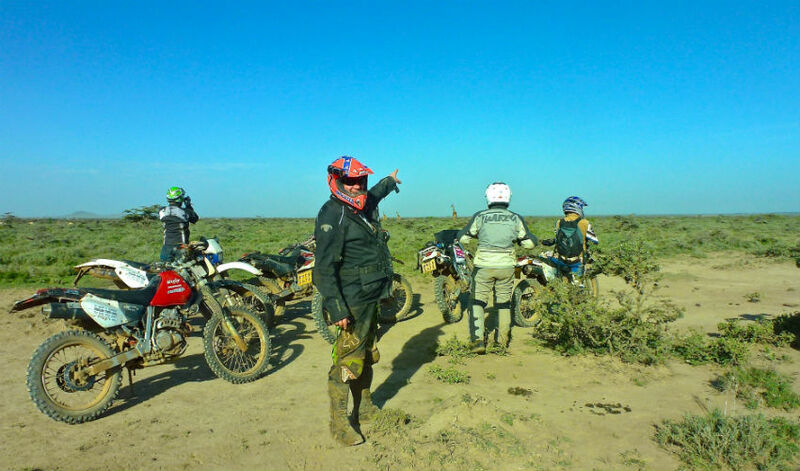 A ride off the beaten track, or dirt road, to discover Kenya’s wilderness, and encounter with the local peoples. For accommodation,alternate between bush lodges and camping in the middle of nowhere. Explore the volcanic highlands down to the Great Rift Valley, passing Mau escarpment, Masai Mara National Park and Loita Hills and its indigenous rain forest.